Love is in the air and when you and your special someone decide to tie the knot, you’ll want to pick the perfect spot to share your feelings with each other. There are 10 of the best places around Louisiana to say “I do” and make memories that will last a lifetime. With beautiful private gardens and versatile accommodations for any wedding theme, Audubon Tea Room is perfect for day ceremonies under the oak trees or evening weddings under the stars. More than a traditional ballroom, the tea room is part of the Audubon Nature Institute, whose mission is to provide guests with an outstanding experience while there. Catering is available by the first venue in the state to obtain green certification for environmental awareness. 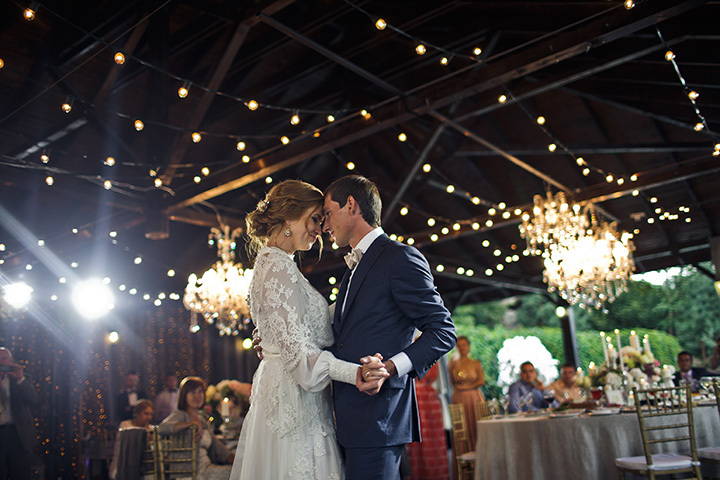 Life, love, and laughter are what you’ll find at the French Quarter Wedding Chapel. This is a unique place unlike any other you’ve seen. If you want the most stress-free event in a quirky but fun environment, this is the place! Located in the heart of the Romance Capitol of the World, it seems only fitting that you can book your wedding festivities 24 hours a day, seven days a week in the only wedding chapel in the state! No one will be falling asleep at a wedding held in the beautiful Rip Van Winkle Gardens. Special attention to detail is what sets this location apart from others. The entire staff is at your disposal and can help with everything from planning your special day to cleaning up after the last dance is finished. Great food, stunning backdrops and if you’re considering a sunset wedding, this is definitely the place. Bayou Barn is a beautiful setting for your indoor or outdoor wedding. Nest to a national historic park and preserve, you can have your event in the 288-person barn or on the extensive grounds that are perfectly manicured year-round. All your wedding celebrations can be hosted here from the engagement party to the bridal shower. Rental includes the entire facility and lawn, unlimited hors d’oeuvres and entrees, open bar, and much more. With experience in helping with weddings for over 70 years, Boudreau’s combines glamor and convenience to make your ceremony perfect and memorable. There are several places to take your vows inside or outside, and you can choose from traditional or contemporary surroundings. Easy on the budget and on the eyes, you’ll appreciate the high standards and attention to detail. This beautiful 20-acre location in northern Louisiana offers a serene and peaceful setting to exchange your vows. Up to 200 people can be accommodated and rental includes a bartender, cleaning crew, parking attendants, tables, and chairs. Catering is available there or you can arrange your own. What could be more romantic for a fairy tale wedding than to get married in an actual English castle? Located in a wondrous secluded location, you’ll think you’ve traveled back in time. There are so many great places for photos like the bridge on the castle grounds, the angel guarding over the rose garden, and the throne room complete with seating for the newly married king and queen. If you’re thinking of getting married in Louisiana, the heart of great Cajun food and the birthplace of jazz, consider Rosy’s Jazz Hall as your wedding location. If these brick walls could talk, they would tell tales of great jazz musicians and the people who’ve worked or lived here over the years. The perfect atmosphere for an intimate celebration of your love, the catering menu offers some of the best comfort food found in the South. Sophistication and great views are what make River City Venues a great place to consider reserving for your wedding. Inside, there are 40-foot ceilings and more than 30,000 square-feet for celebrating, and outside, you’ll have gorgeous views of the might Mississippi River and all the sights and sounds found there. Simple or elegant, it’s your choice from the many options here.